The Caldwell Beach House draws conceptually on the typology of Galveston Island, where commercial strips along the highway coexist with residential districts facing the beach. 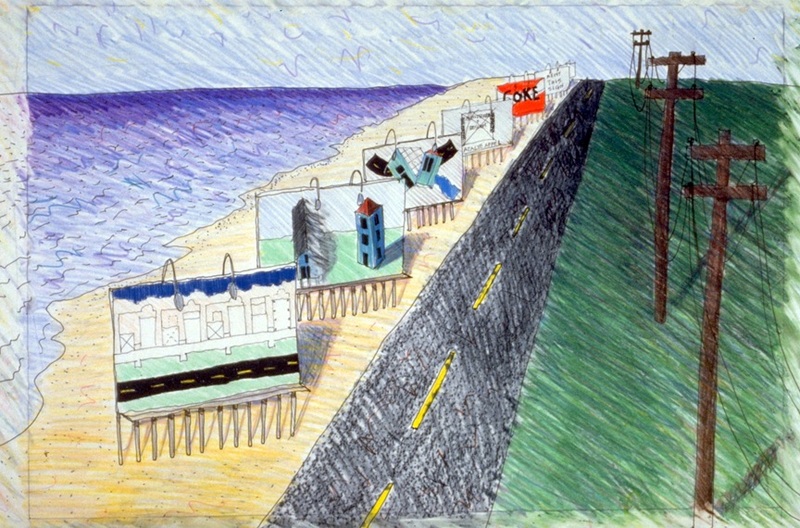 Two vernacular 'beach cottages', each with living spaces on the first level and bedroom spaces on the second level, are joined by a central circulation spine and shielded by a 'billboard' containing stairs and services that faces the highway. 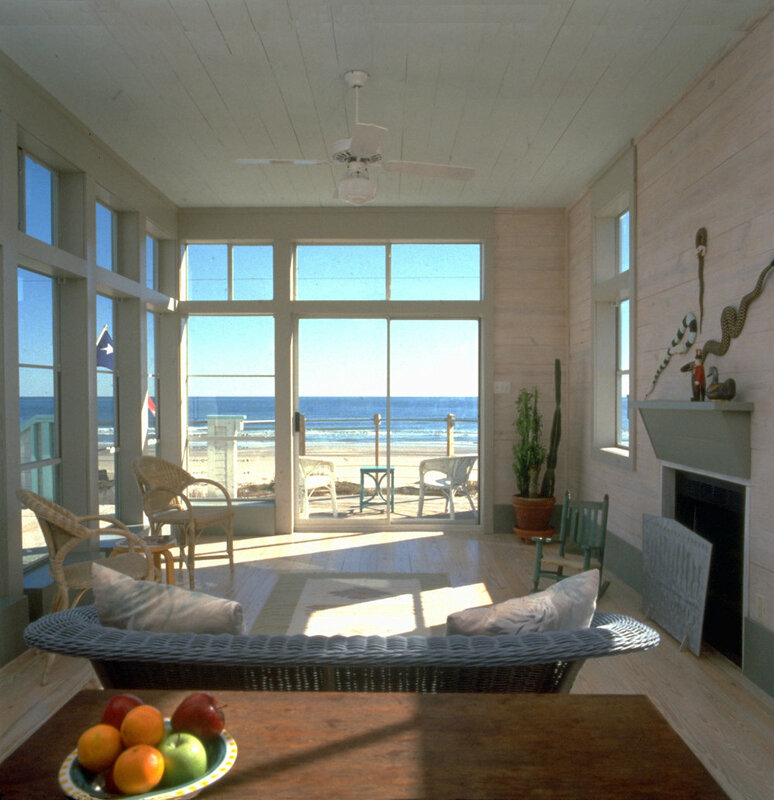 The open walkway between the cottages frames the Gulf view.